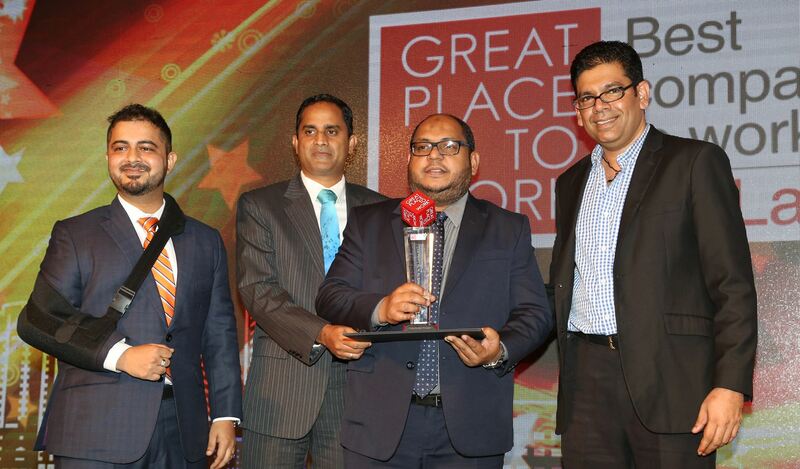 EFL and Classic Travel were awarded ‘Great Place to Work in Sri Lanka’ for the second consecutive year and third year respectively. The list evaluates the very best employers that provide teams with an environment where they can thrive and grow. During the year, EFL also secured 2 additional accolades at the Best Employer awards winning ‘Dream companies to work for’ in both Asia and Sri Lanka. 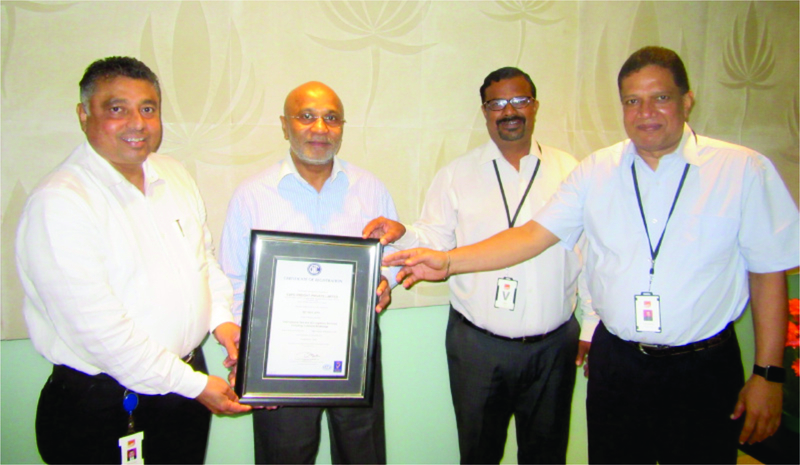 As part of the next phase the system upgrade at stations, EFL India received ISO 9001:2015 standards certification, following full compliance with quality, safety and supply chain protocols. Raising operational standards of the station, the certification adds a significant boost to EFL’s overall position in the global logistics sphere. EFL continued its long-standing winning streak at the National Business Excellence Awards (NBEA), once again brought home a Gold award in the Logistics and Transport category, for the 4th consecutive year. The NBEA recognized EFL as a top corporate performer with a dynamic operation that effectively covers the areas of leadership, corporate governance, capacity building, CSR, environmental sustainability and performance management. 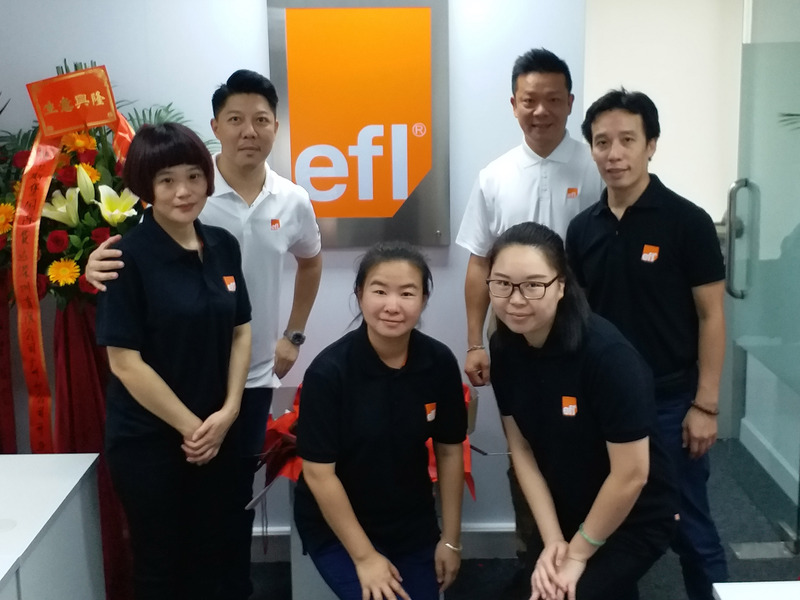 EFL extended its presence in China, by opening two new offices in Guangzhou. Strategically located in close proximity to Hong Kong, and Macau, Guangzhou is a significant export hub in the region, and is one of the busiest commercial centres in the country as well as the largest metropolis in Southern China. The city has a long-standing history of being an important strategic port in China, providing quick access to India, South-East Asia, the Middle-East and Africa. Classic Travel officially announced the opening of their Kandy Branch Office on 22nd of February 2018, marking the 4th Branch Office of Classic Travel in Sri Lanka. In September 2017, EFL made yet another pioneering move by partnering with Qatar Airways Cargo to facilitate the first ever freight charter to Rickenbacker Airport in Columbus, Ohio. The shipment comprised of 100 tonnes of garments and was flown on a Boeing 777 freighter on behalf of a Fortune 500 listed US fashion retailer. The story has received a wave of international media coverage, putting EFL in the international spotlight and strengthening the company’s position at the forefront of the logistics industry. 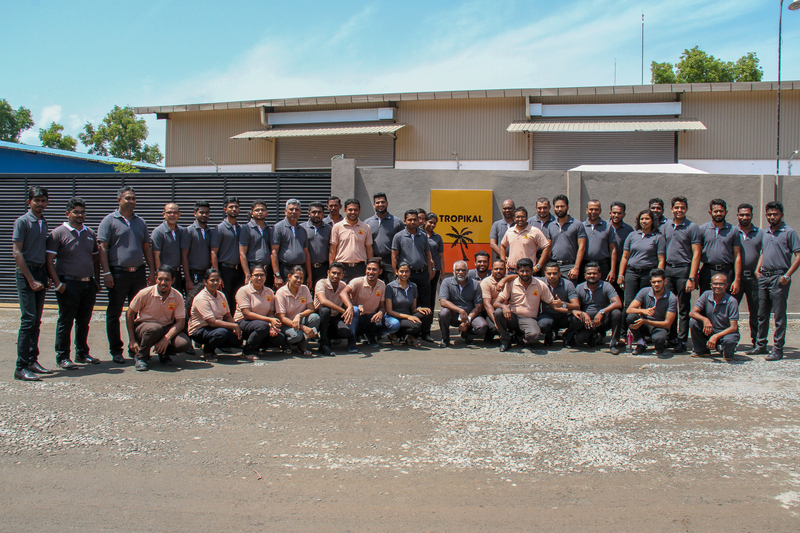 Tropikal Life (Pvt) Ltd opened a state of the art dedicated coconut water processing factory on the 1st of August 2017 in Seeduwa. The 30,000 sq. Ft facility includes UHT Aseptic Processing Line to produce Green Coconut Water, King Coconut Water in 200KG Bulk Packaging. The factory is also able to produce King Coconut Water in Pasteurized/ Unpasteurized in Frozen Bulk Form. Additionally, a range of coconut water products in retail packaging are also available for international buyers. The factory is accredited ISO 22000, FSSC 22000 and AA Grade BRC Certification. Having spent the last few years refining the portfolio of businesses to arrive at the right fit, Expolanka Holdings PLC has a solid foundation from which to scale up and realize the Group’s vision of achieving market-leading positions in its two main sectors; Logistics and Leisure. For EFL – the Group’s global logistics brand, the overriding objective for last year was to stamp a more pronounced footprint and increase visibility in key markets. I am very much pleased to report to our valued stockholders that the company had yet another successful year, the Group maintained the tradition of generating consistent results. This was achieved despite difficult market conditions. The well prepared negotiation with the carriers and a customer-centric approach were the main drivers. The Leisure sector too tabled healthy results for the year under review. 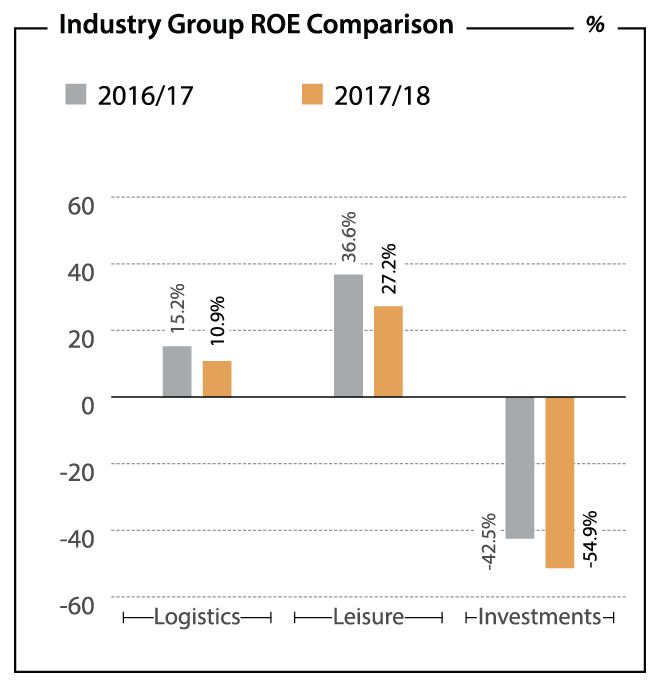 Strong performances from both sectors enabled Group revenues to cross the Rs. 70 Bn mark in the year under review, 22% higher than what was reported in the previous year. I believe these consistent results testify to the Group’s agility, strategy and drive to grow. Understandably while we do continue to make minor adjustments to sharpen the overall sector strategy to account for the changes that arise in our immediate operating environment from time to time, our underlying purpose remains the same. Having shed most of our passive investments by 2016, the Group’s focus is now centered on its core sectors; logistics and leisure, where we are pursuing organic growth to increase our captive market share. We started the year with a series of strategies focused on enhancing the competitive position of both the core brands to develop a base. Our intention was to develop a base of key market strongholds that would serve as a platform for sustainable growth. 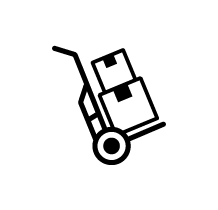 For EFL – the Group’s global logistics brand the overriding objective for last year was to stamp a more pronounced footprint and increase visibility in key markets. With USA trade lane becoming a critical growth driver for the logistics sector, we broadened our focus, and made a strategic decision to increase the expansion into USA and key markets in Asia. The move also underpins our efforts to build a solid foundation from which to pivot EFL as a leading player in the global logistics sphere. I am also happy to note that the underlying strategic thrust we have adopted for “Classic” our leisure brand, continues to yield good results. Our business proposition is strong and remains well accepted in the market, which has enabled Classic to firm up its leadership status in the outbound B2B market. In the hope of replicating the success we have achieved in this area we have set about an ambitious plan to gain traction as an integrated leisure service provider. Be it in logistics or leisure, technology and innovation plays a critical role in our ability to build capacity and resilience as well as to compete effectively and stay ahead of peers. Over the years, Expo has taken a disciplined approach to seize new opportunities to invest in right technology in order to sharpen downstream and upstream capabilities in both logistics and leisure. It is indeed pleasing to note that this approach has held the Group in good stead and paved the way for each sector to accelerate their respective growth plans. We are aware that the environment in which we operate is fluid and as the markets become less predictable, it is crucial to continually assess the way we balance risk and opportunity. In this regard the Board remains proactive in strengthening its oversight role by demanding more information and frequent communication with management to ensure the business continues to benefit from more timely and impactful action. The global economy is still showing a strong growth. As an International gro up we are able to leverage on our experience and expertise and identify new avenues for growth in tough and developing markets. I am confident that the Group is well prepared to deal with this unpredictable situation and to pursue opportunities for growth even in a difficult time. On one hand the Group will consolidate the position in existing markets to generate profits. On the other hand, we will remain open to new market expansion the synergies to bring us a competitive edge to the Group. In hindsight, I see the decision to focus on the core business, to be the turning point of our journey. Presenting to you the annual report and financial statement for 2017/18, I am proud to announce that your Company, Expolanka Holdings PLC has produced another strong performance to conclude the financial year ended 31st March 2018 on a high note. The year marked a turning point for the global economy, which after years of sluggish growth bounced back strongly in 2017. Global GDP is estimated to have expanded by a robust 3.4% in 2017 led by strong resurgence in trade throughout the year. International trade, benefiting from a cyclical recovery in global manufacturing and investment growth, is estimated to have grown by a stronger- than-expected 4.3%. Growth acceleration was evident in all major economies. In the US, growth picked up in 2017 supported by strengthening private investment and consumption, while on the back of policy stimulus and increasing global demand, the Euro Area reported better-than-expected results. Reflecting back on when we first embarked on the IPO in 2011, our intention was to achieve two primary goals. Firstly, to position EFL as a leading logistics brand in the wider Asian region and secondly to confirm “Classic” as the leader in Sri Lanka’s travel market. In hindsight, I see the decision to focus on the core business, to be the turning point of our journey. Our growth strategy is now centered on building and expanding our capabilities to consolidate our position within our brands and offerings. Envisioning a stronger global presence for EFL especially across key trade-lanes, we invested considerable resources to deepen the penetration and improve visibility in the USA. We then leveraged on this expansion to widen our reach in the Chinese market. A new station was opened in Myanmar alongside targeted strategies to engage markets in the Philippines, Vietnam and Indonesia. The South Asia strategy remains unchanged, given the fact that it has produced consistent results over the years. The Logistics sector delivered volume growth across both Air Export and Ocean Export Products. Air Exports grew by 28.6% surpassing the trend seen over the last several years, while the renewed focus on the Ocean Export operation increased volumes by 16% year-on-year. I am pleased to see better than expected results in Ocean Freight along with consistent performance via outbound volumes being recorded from all East-Asian markets (China, Hong Kong, Philippines, Indonesia & Vietnam). With EFL’s air and ocean export volumes hitting record numbers across all trade lanes, we took what we believe is the natural next step towards scaling up operations and began gradually widening our client portfolio, which until now has been anchored to the apparel retail industry. Leveraging on our expertise in moving apparel cargo, a concerted effort was made to tap into other verticals. 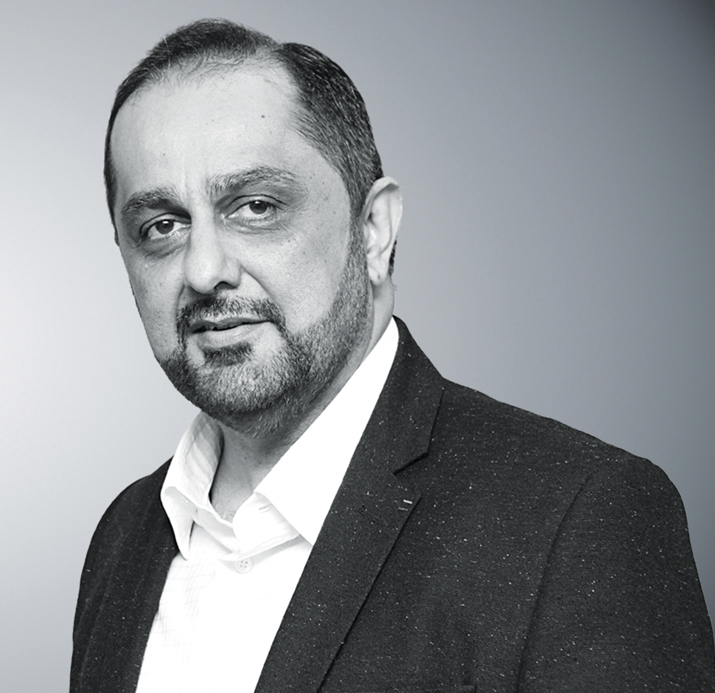 Testing out our strategies first in South Asia, we have made some notable inroads into the regions’ booming homewares and technological verticals. To further support our ability to serve multiple industries, the roll out of the new state-of-the-art ERP system was expedited, with the first phase being completed across two stations in the year under review. Additional investments were also made to increase warehouse capacity in Sri Lanka and expand EFL’s regional warehouse footprint through a management model in Taipei, Taiwan. The warehouse software – a Tier 1 highjump platform, rolled out in the previous year, was also fully operationalized across the entire warehouse network. However I must admit, the global logistics market today remains incredibly competitive more so than ever, and if EFL is to reach the top and stay there, it is vital that we offer a differentiated value proposition to that being offered by our peers. In the year under review, we took several important steps, notable among them were our efforts to boost EFL’s expertise in the global logistics sphere. I am proud to welcome to the EFL board Mr. Ram Menon – an icon in the modern air cargo industry, Mr. Steve Dearnly – a pioneer in the global freight and logistics and Mr. Mike Sherman – a leading logistics specialist who has worked with some of the largest retail brands in the world. The knowledge and expertise these gentlemen bring with them will be invaluable in catalyzing EFL’s future growth strategy. 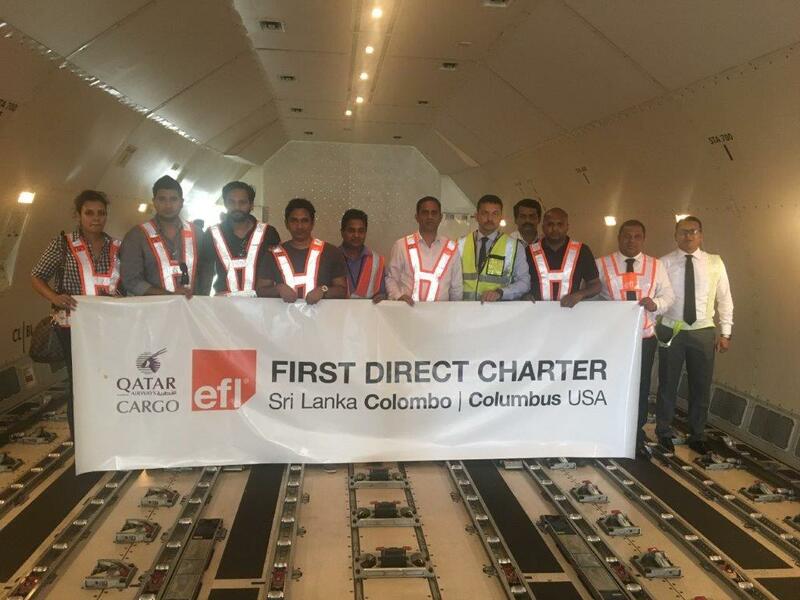 Meanwhile proactive efforts to reorient our focus to be as customer-centric as possible, saw EFL partner with Qatar Airways Cargo in September 2017 to facilitate the first ever freight charter to Rickenbacker Airport in Columbus, Ohio. The shipment, a landmark in the Sri Lankan freight industry, was for a Fortune 500 listed US fashion retailer, comprised 100 tonnes of garments and was flown on a Boeing 777 freighter from Colombo. The story received a wave of international media coverage, putting EFL in the international spotlight and strengthening the Group's position at the forefront of the logistics industry. It is pleasing to see that our leisure brand – Classic continues to perform well in all markets it serves, and in particular remains number one and holds its position in the outbound segment. We continued to seize opportunities to grow market share focusing on increasing the contribution from the existing customer portfolio alongside efforts to acquire new customers. A concerted effort was made to grow the inbound business as well via with re-positioning, product development market strategy and solutions engaged to develop our capacity in experiential tourism. The Trading and Manufacturing business tabled satisfactory results with individual business segments experiencing mixed fortunes. I am encouraged to see how well we have made the multi-origin model work to our advantage. Other notable achievements for the year include the factory commissioned during the current year is now operational and moving towards profitability. Our new factory has commenced operations during the current year and is gradually working towards profitability. Further our decision to expand our IT operations through ITX 360 also continues to deliver good results with the Company now looking to make a name as an independent IT solutions provider specializing in turn-key projects. Our sustainability strategy is at present undergoing a transition, where we have begun moving away from a general group-wide sustainability policy in favour of a more business-centric approach. Marking the first phase of our journey to develop business-specific sustainability strategy for EFL, we launched VIVA in mid-2016. 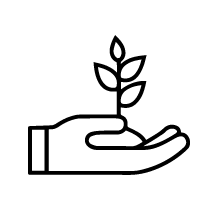 However seeing the need for an even more focused strategy for the entire logistics business, in 2017 we began engaging EFL’s largest customers to help identify sustainability aspects they deem to most material. Stemming from this, we are now in the process of formulating a new 3 year Sustainability Roadmap that would underpin EFL’s value creation agenda for the 2018 - 2021 time frame. Given the strong positions achieved by EFL and “Classic”, I am optimistic about the future. Our strong visibility in the USA and established presence in Asia will no doubt prove to be a considerable advantage in securing volumes across all major trade lanes. Meanwhile our logistics capabilities in the sub-continent and the wider Asian region will also likely play a pivotal role in strengthening EFL’s position as a global 3PL service provider. Classic too will need to further scale up in order to retain its competitive position in the leisure market. This would mean continuous and ongoing investments in technology, people and processes to establish a niche in the market. Another priority for “Classic” would be to strengthen the inbound business vertical. I am confident that our sound strategies for both the logistics and leisure sectors would enable the Group to accomplish its strategic objectives to grow revenue and profits and increase ROE, in line with stakeholder expectations. Before I sign off, I would like to thank the Chairman and Board of Directors of Expolanka Holdings PLC for their stewardship of the Group and the guidance and support extended to me at all times. I wish also to acknowledge the untiring efforts of the Executive Management and the EFL global team – I thank you all for your contribution towards the Group’s success. My sincere gratitude to our valued customers, investors, bankers, suppliers and business associates for their ongoing support. And finally, to our shareholders who have supported us over the years, I wish to thank each and every one of you for the trust and confidence in the Group. I seek your continued patronage to take Expolanka Holdings PLC forward to a new growth dimension in the years ahead. Sustainable returns and long-term value for stakeholders; are the key objectives reflected in our Sustainability vision. Stemming from this central theme, the main focus for 2017/18 was to formulate the sector-specific sustainability strategy for EFL. In this context, EFL began working with a number of its key freight customers to determine sustainability aspects that are more relevant to the logistics industry. 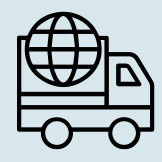 Following an in-depth study to identify what customers consider as material sustainability issues for their freight partner, the EFL materiality map was reconstituted, with three key sustainability pillars emerging as the basis for operationalizing a new customer-driven sustainability strategy for EFL. Focus growth on key products through customer relationships and Network Infrastructure. As the South-Asian region’s powerhouse to provide simplified logistics solutions via air,sea and land, EFL operates from 60 offices in 17 countries. With a growing workforce of over 2000 employees, we ensure that our global network caters to specific needs arising from US, Europe, Asia, Africa and the Middle-Eastern regions. EFL’s strategic positioning in global sourcing markets has enabled us to provide efficient services from the point of origin to the end- destination with minimal lead times and helps us prove ourselves to be one of the top global players in the logistics industry. 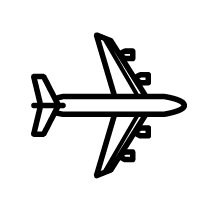 The catalyst of growth was Air freight which recorded a volume of 132 Mn. Kg (Air Exports) and 56 Mn. Kg (Air Imports), a growth of 29% and 33% respectively. The year in review was a year where EFL was able to grow and consolidate its operations and performance inspite of a challenging global operating environment, primarily driven by capacity constraints in Air Freight and rising Air Freight Rates. This is well reflected as per the data released by IATA (International Air Transport Association), the demand for global airfreight grew by 9.0% in 2017, more than double the 3.6% annual growth recorded in 2016. Interestingly at 9%, the demand for airfreight grew at a faster pace than the expansion in world trade (4.3%), as global supply chain companies rushed to restock their inventories amidst a robust demand for manufacturing exports. However, available airfreight capacity failed to match up to the sharp increase in demand, growing by only 3.0% in 2017, the slowest annual capacity growth seen since 2012. The demand and supply mismatch and the resulting supply side pressures pushed up in freight rates, further intensifying the level of competition in the already competitive global freight forwarding industry. The ocean freight industry meanwhile, recovered from the struggles of 2016 and reached a measure of stability with freight rates holding steady for the most part. However, in contrast to the airfreight industry, the ocean freight industry continues to be straddled with overcapacity, prompting a wave of prominent mergers between ocean carriers. 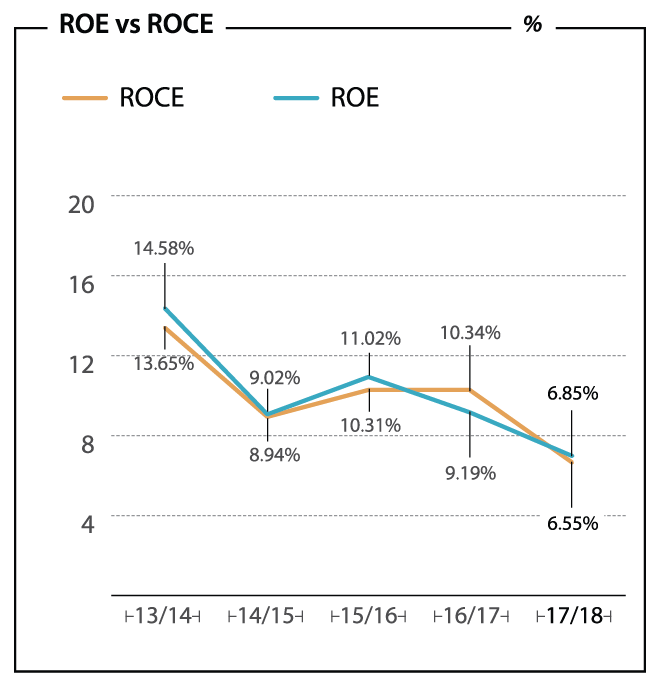 The trend, which first began in 2016 gathered further momentum in 2017, as bigger companies gobbled up smaller ones, while others banded together to form alliances in order to consolidate their position and sustain their operations in the longer term. A few of the notable partnerships for 2017 were - the alliance consisting of CMA CGM - OOCL - Cosco - Evergreen and the alliance between Hapag - Lloyd - MOL - K Line - NYK - Yang Ming. 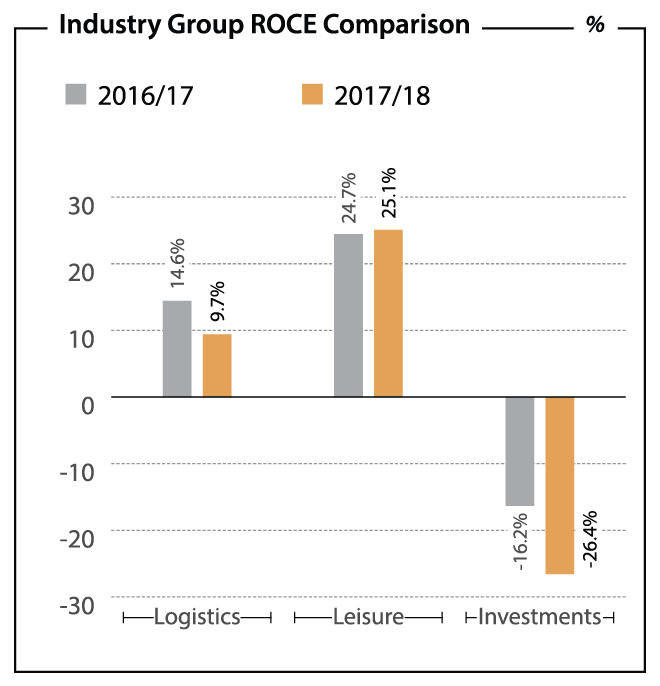 The Logistics sector had a stand out year by recording a revenue of Rs. 73 Bn, a growth of 34%, largely driven by EFL. During the year, EFL embarked on a strategic plan aimed on focusing on driving topline with incremental volumes. The performance of the year reflected the results of the strategy that was pursued by the company. The catalyst of growth was Air freight which recorded a volume of 132 Million Kg (Air Exports) and 56 Million Kg (Air Imports), a growth of 29% and 33% respectively. The growth was a result of focused customer centric initiatives undertaken by the management. The EFL network presence (presently in 17 countries globally), local know-how, flexible, innovative and nimble solution along with increased visibility and transparency on services across the supply chain are important factors which has enabled EFL to drive it’s it’s expansion initiative in a positive manner. All major trade lanes registered strong volume growth in the year under review. The focus of the year was to grow the Exports to North American Trade Lane, which contributed 50.2% towards EFL’s exports GP, a growth of 29.4% from the last year. The North American Trade lane has always been a key driver of the EFL performance and this was further enhanced this year with the growth witnessed during the year. Concentrated efforts in enhancing Air Export volumes across the Europe operations, EFL was able to see a Volume growth of 37.3% in the trade lane which resulted in a 38.7% growth in GP from the Trade lane. Meanwhile, leveraging EFL’s growing presence in the US, the Company continued to strengthen South American trade lane by moving small volumes of apparel exports from the region. 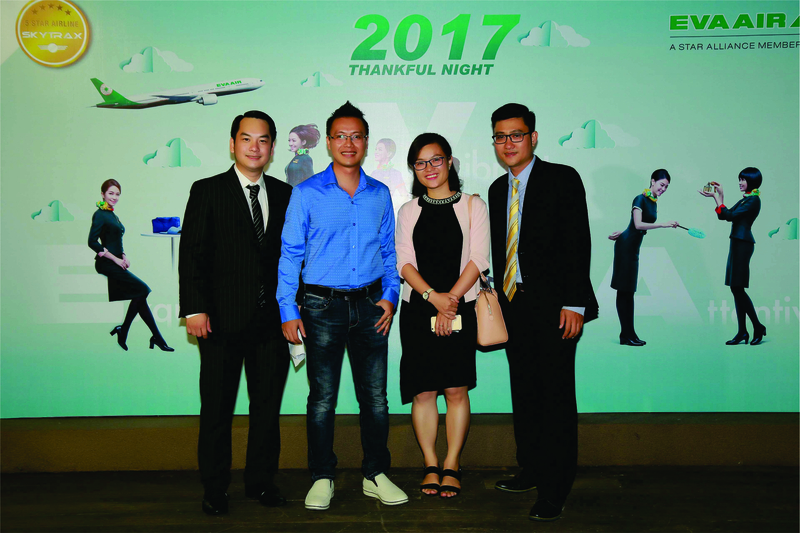 In recognition of the strong trade lane- wise performance, EFL was recognized by multiple airlines in various markets. 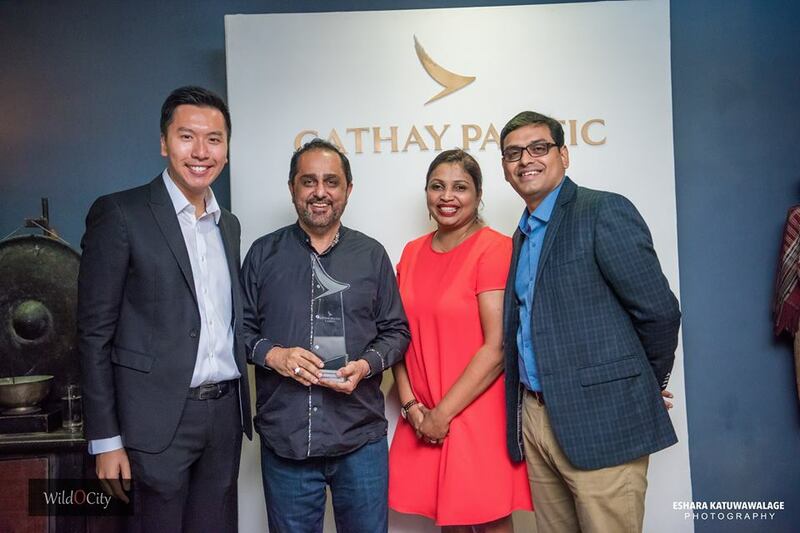 Operations in Sri Lanka and Indonesia received special recognition by Cathay Pacific, while Singapore Airlines recognized efforts by the Indonesian team and Eva Airlines for EFL Vietnam. 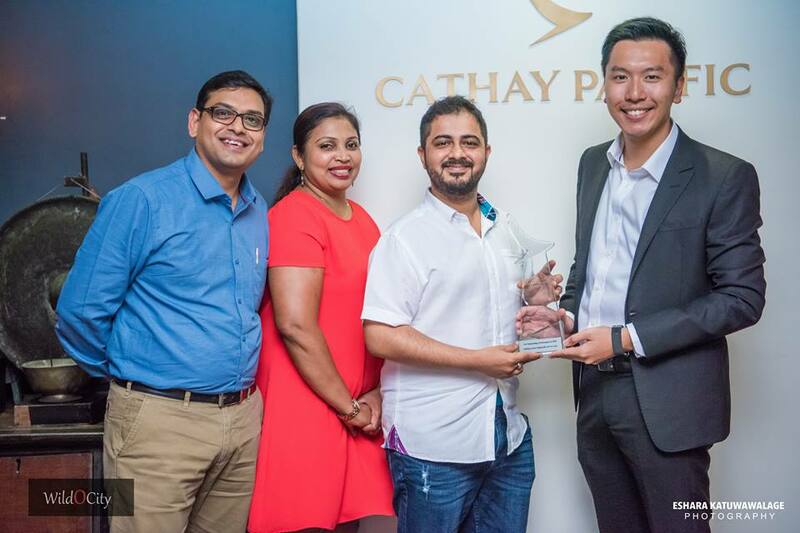 Operations in Sri Lanka and Indonesia received special recognition by Cathay Pacific, while Singapore Airlines recognized efforts by the Indonesian team and Eva Airlines for EFL Vietnam. EFL’s main strategic focus for the year was to grow its volume across its 4 key products and strengthen core operations across all key trade lanes in order to create fit-for-purpose operational stations that would in turn improve scalability of freight operations in their respective geographies. Apart from growing volumes, Yield Management and Operational efficiencies formed the core nucleus for EFL during the current year. 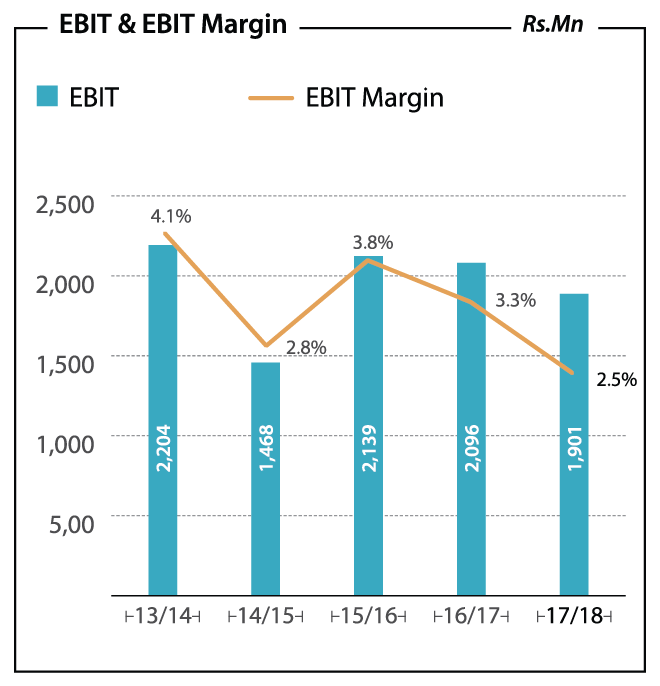 The company also looked at vertical expansions to improve the client portfolio mix. Developing the North American trade lane remains a key priority and building on our expertise in servicing the apparel vertical has yielded positive results during the year, from a volume growth perspective. Continuing on the previous year’s strategy to consolidate EFL’s presence in the North American trade lane, the company undertook an expansion initiative within the North America Trade lane with the primary aim of further growing volume and building scale in this key market. The Company further turned its attention towards expanding its far east operation which it identified as a key growth initiative and continued to leverage on the strong presence on its North America Trade lane. Country-specific strategies were deployed in other East Asian origin markets where EFL already has a presence, namely the Philippines, Vietnam and Indonesia. In these countries, the main strategic thrust was to increase wallet-share from existing customers. Groundwork also began to add a few more stations as part of the overall footprint expansion in East Asia, a move aimed at Further consolidating its overall growth in the region. The strategy for EFL’s stronghold South Asian operation remained unchanged, where the focus was to strengthen core capabilities and enhance the Company’s profile in the integrated logistics sphere. It is hoped that these efforts would enable EFL to make inroads into other fast-growing verticals, including IT, pharmaceuticals and retail e-commerce. With regard to improving scalability of the global operations, the Company expedited the roll out of the new ERP system based on the premise that modern IT systems are vital to gaining operational efficiencies, and building the resilience needed to evolve in tandem with the market and respond to the new developments as they arise. Offering a wide array of services, high level of data integrity and strong in-built best practices, the new state of the art ERP system would facilitate better internal financial visibility and risk control across all operations, giving EFL a credible edge in the global market. Moreover, the scale advantage derived through the ERP would be a critical component in catalyzing EFL’s ambition to become a global integrated logistic provider capable of serving a multitude of industries. The first phase of the ERP roll out was completed across two stations (USA and Vietnam) in the year under review, with the entire network to be covered by mid-2019. As part of its ongoing efforts to add international expertise to the senior team, Ram Menen, Stephen Dearnley and Mike Sherman joined as independent directors during the year 2017/18. All three directors carry with them a wealth of experience having led and grown international brands for over three decades. As one of the most respected and leading personalities in the Asian region, Steve Dearnley carries more than 35 years of experience in the freight and logistics. 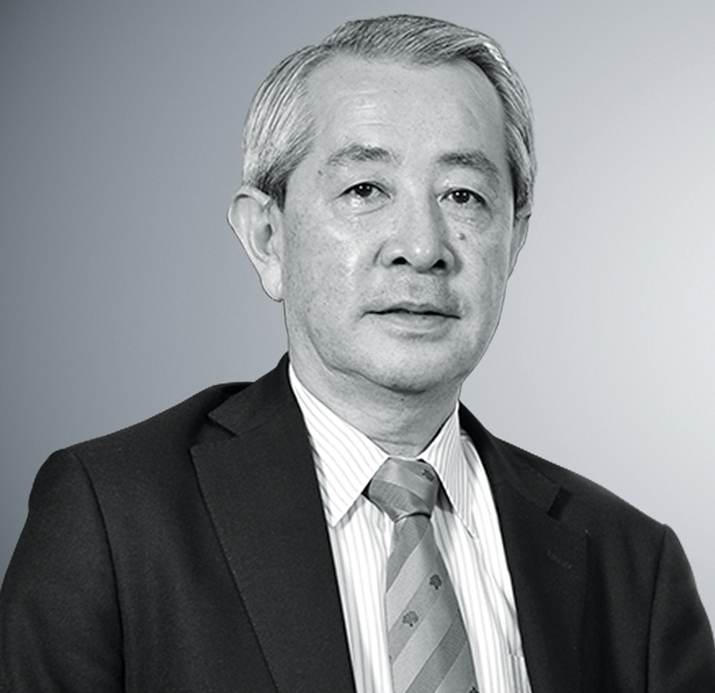 Prior to retiring in 2011, he was the CEO for DB Schenker Asia Pacific. Ram Menen is among the few icons in the modern air cargo industry. Widely recognised and admired, he was the cornerstone of building Emirates as the world's largest cargo carrier during three decades at the airline. He retired in 2013 with his last role as Divisional Senior Vice President - Cargo. With over 40 years of experience, Mike Sherman has worked with some of the largest retail brands such as Limited Brands, Abercrombie & Fitch and Sony. He has held leadership positions in both financial management and supply chain operations and last served as VP Transportation and Trade Compliance at Abercrombie & Fitch. Having taken its first steps towards integrating the sustainability paradigm into its operations with the launch of VIVA in mid-2016, EFL once again revisited its Sustainability Strategy, this time working with customers to focus on identifying and integrating sustainability aspects that are more relevant to the logistics industry. Following a deep dive to determine material stakeholder issues, the groundwork began on formulating a new Sustainability Roadmap to articulate the drivers and establish the KPI’s that would underpin EFL’s value creation agenda. With the necessary infrastructure and strong footing in all major trade lanes, as its stands now, EFL is well equipped to grow steadily in the years ahead. The focus moving forward would be to expand the prospects in all key trade lanes mainly by tapping into opportunities in the apparel vertical to grow organically. At the same time the Company will pursue expansion opportunities to growth through a cohesive strategy to facilitate the diversification into other more complex supply chain verticals including modern technology and retail. In the medium term, this would mean optimizing the existing geographical coverage to drive the strategy for each trade lane, while in the long term EFL would look to tactically expand its coverage in prospective high-growth geographies. In time to come, EFL would expect to leverage on productivity improvements and cost efficiencies derived through the new ERP system to make its mark as a fully- fledged integrated logistics service provider able to compete on par with leading global players in the industry. Having re-engineered the business to deliver a complete turnaround in results in the previous financial year, EFL’s warehousing cluster delivered strong performance in the year under review. Throughout the year, an impressive occupancy level, averaging between 65% to 70% across all warehousing units was maintained. 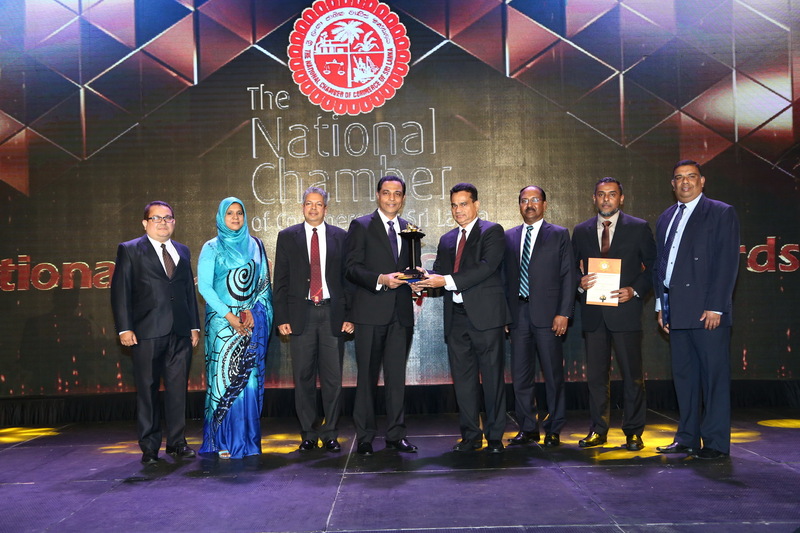 The main strategic focus for EFL’s warehousing cluster was to cement its position among the top 3PL (Third Party Logistics) providers in Sri Lanka stemming from this, several important steps were taken during the year to transform core infrastructure and improve efficiencies, all intended to enhance customer deliverables. Capacity expansion being a key item on the agenda for the year, a further 10,000 square feet was added to the existing facility in Ja-ela, along with additional investments in people and processes. While no other major capacity expansions were done in to expand EFL’s warehousing capacity in Sri Lanka during the year, of a 40,000-square foot warehouse was set up in line with the light asset model in Taipei, Taiwan bringing cluster-wide warehouse space to 610,000 square feet by the end of the current financial year. Hand-in-hand with these infrastructure investments were the ongoing measures to improve efficiency through greater automation, and strengthen operational control mechanisms to enhance the ability to reorient to different customer cycles. The Tier 1 Highjump software and warehouse management which was fully rolled out across all five facilities on the network in the previous year, continues to be the key accelerator of the cluster’s efficiency improvement programme. Being one of the most robust warehouse management platforms currently available in the market, the advanced visibility dashboards offered by the Tier 1 Highjump software has proven to be a considerable advantage for the cluster in delivering a range of value-added services to meet the increasingly complex needs of its core customer base – South Asia’s apparel sector. 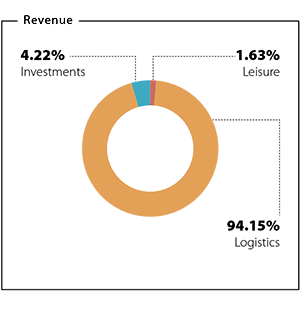 With structural support system in place, the focus then shifted towards developing the clusters’ revenue pipeline. Anchored to the Sub-continent, EFL’s warehousing operation in Sri Lanka and India has thus far focused primarily on servicing the fast-growing apparel sector in the region. In fact, much of the growth seen over the years has been organic in nature, generated through increased exposure to existing customers. However amidst stiff competitive pressures, renewed emphasis was put into pursuing inorganic growth vis-à-vis diversification into multiple verticals. The strategy, while seeking to reduce the risk associated with the over dependence on the apparel vertical, more importantly aims to create a scalable platform to strengthen EFL’s credentials as a fully-fledged 3PL service provider in time to come. Efforts also continued towards reorienting the EGDC (Expo Global Distribution Center) the country’s first free port operation to focus on attracting the right client mix. In this context, the team has been working with the relevant authorities to improve the framework towards making Sri Lanka a logistics hub. In terms of the service portfolio, while organic growth in the apparel sector will be the predominant focus for the foreseeable future, the cluster will seek to grow inorganically as well by tapping into opportunities to widen its reach in other fast-growing sectors of the economy. Capacity expansion being a key item on the agenda for the year, a further 10,000 square feet was added to the existing facility in Ja-ela, along with additional investments in people and processes. The Airline GSA segment ended the current financial year on a strong positive note, bolstered by a robust increase in volumes seen across most geographies. Sri Lanka witnessed a significant increase in volumes, following the decision by legacy carriers such as KLM and Saudi Air Cargo to increase the frequencies to Colombo, while similar decisions by Air France to increase the frequency to Maldives and Etihad Cargo to increase their frequencies to India and Pakistan, all resulted in higher volumes in each of these regions. In addition, Sri Lanka further benefited from an unexpected surge in transshipment volumes in the third quarter of the year, as cargo originating from Bangladesh was re-routed through Sri Lanka due to heightened security concerns in the region. Led by the strong increase in regional volumes, the Airline GSA business reported a 24.4% year-on-year growth in Revenues. 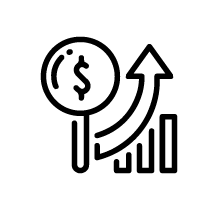 Moreover with efforts to right size the GSA operation in South Asia gaining traction and leading to significant cost efficiencies, the bottom line grew by 365% year-on-year. Having worked consistently for the past two years to optimize the multi-country GSA model, the Airline GSA operation completed its restructuring process in 2017/18 by exiting from the Middle-East operations. At the same time, several important steps were also taken to consolidate existing partnerships in key markets, namely Sri Lanka, Pakistan, Bangladesh, the Maldives and India. Among the new developments for the year was the ability to secure the agency for Singapore Airlines Cargo in India, which adds a considerable boost to the service capacity in that country. In less active markets such as Vietnam, Myanmar and Kenya too, targeted strategies were deployed to create visibility and broaden the prospects of the GSA operations in these countries. 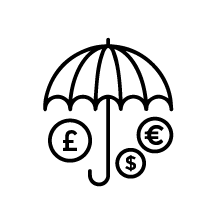 Meanwhile, leveraging on its proven track record in a managing multi-country GSA model, negotiations also began with a number of leading global carriers to gain a foothold into UK and Europe. The focus on achieving operational efficiency and cost control continued to be a key priority for the year under review, prompting strict scrutiny of existing cost structures in an effort to trim unnecessary spending at all levels of the business. 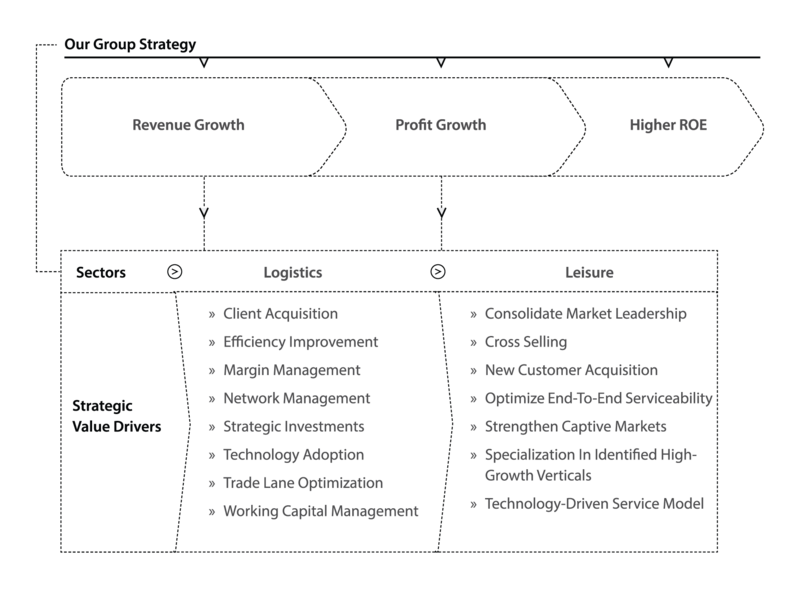 With the business right-sizing strategy fully completed, the focus moving forward would be to improve the scalability of the operations by systematically growing the captive customer base in South Asia by strengthening existing partnerships, while at the same time expanding the global footprint in partnership with reputed carriers who are increasingly seeking GSA partners with a proven track record. These efforts would be coupled with smart-selling strategies that would pave the way for consistent returns and spearhead the targeted increase in the bottom line by 2020. Focus on corporate travel business with the aim of expanding the segment. Explore market expansion initiatives to scale up business. 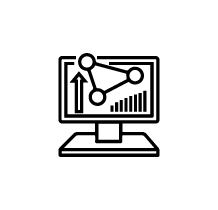 Optimize service portfolio to increase cross selling opportunities. With the inception in 1994, Classic Travel has transformed into a successful organization in the travel and leisure industry. Our focus is to provide holistic end-to-end solutions specifically for the corporate sector, with the emphasis of generating organic growth. In addition, we have transitioned from leisure and business travel to new target segments including the MICE travel sector to offer a range of services in project management, logistics, accommodation, and event management. The leisure sector represented by the flagship “Classic” brand continues to hold leadership position in the travel sector in Sri Lanka. The sector tabled good results in the year under review overcoming a challenging market environment brought on by certain policy decisions by the national carrier, which put pressure on the sector’s conventional business model. Nonetheless, to boost the corporate travel business, focused attention to optimize the existing portfolio, along with improved operational efficiencies and better procurement enabled the sector to grow. With the outbound segment accounting for more than 90% of the business, the endeavour to reinforce “Classic” as the country’s leading fully-fledged outbound travel service provider continued to be the main strategic theme for 2017/18 as well. Steps taken to consolidate the market leadership in the outbound corporate travel market included aggressive customer on-boarding strategies to acquire new customers and a renewed emphasis growing the share of business from existing customers. 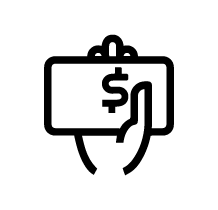 To further complement these efforts, the value added service model was also strengthened to differentiate the “Classic” product from peer offerings. The major development in this regard was the commissioning of a VIP customer service center at the BIA to offer a highly personalized service to Classic’s outbound travellers. Several important steps were taken to further strengthen the inbound travel operation as well, where the focus was on developing competencies in the ever-evolving niche travel format. The year under review saw additional resources being engaged with the intention of developing innovative and highly customized solutions to cater to the niche market for experiential tourism. These efforts were coupled with increased technology adoption to drive operational efficiencies and build scale as part of a broader effort to improve overall service standards in the inbound travel operation. Efforts for the year included the roll out of a dedicated online booking engine to directly promote “Classic” branded offerings, as part of a long-term strategy to create a more sustainable platform for growing business volumes and strengthening Classic’s leadership position in the market. Operating in one of the most dynamic global industries, going forward, Classic will aim to improve scalability of all verticals in the inbound and outbound segments. 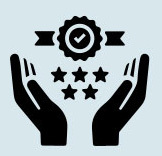 Proactive efforts to address changing operating environment and stay ahead of competition may require detailed review of non-scalable businesses that generate long term business growth. At the same time, investments in technology will also likely play a pivotal role in defining the sector’s competitive advantage in the years ahead. 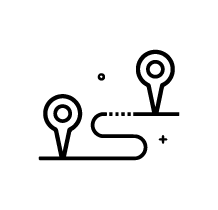 Meanwhile as the business continues to evolve impacted by consumer trends and technological advancements, staying competitive may also mean expanding the geographical footprint. However in undertaking such plans, the overarching goal is the same - to ensure the integrity of the “Classic” brand is reflected across all business verticals at all times. 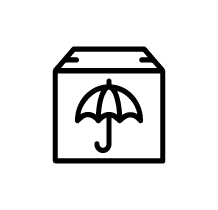 Consolidate desiccated coconut operations whilst enhancing the business models. Restructure operation with the aim of mitigating risk profile of fruits and vegetables operations. Operation for value added processing. Establish IT solution segment to optimize internal competencies. 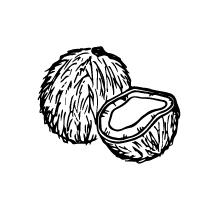 Optimize desiccated coconut operation with an enhanced business model. 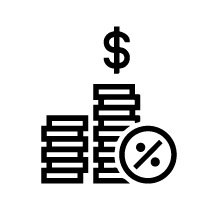 Consolidate value added processing operation. Confine restructure of non-core investments. Flexibility and quick initiative enabled the export operation to sustain its performance during the year despite facing external pressure on sourcing. Further more the Group undertook several steps to streamline the operational process within the sector. The export business showed a satisfactory performance for the year under review. 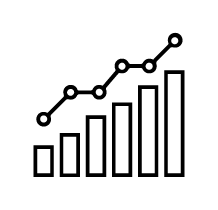 Stable revenue with a profit growth over the previous year was achieved. The business of exporting of Fresh Coconut and Desiccated Coconut (DC) came under pressure during the period due to the prolonged drought which resulted in a drop in the coconut production in the country. The company undertook a multi-origin sourcing model and was able to leverage on the model, to increase the volume of DC exported from Indonesia, a move that helped to stabilize the results for the year. The Organic coconut export segment reported a satisfactory performance. The segment, which exports mainly ‘Organic’ coconut-based products including Virgin Coconut Oil, Coconut Milk, Cream etc. continued to benefit from the premium prices attached to the niche market for Organic products. The fresh fruits, vegetable and organic dried fruits divisions, where a strong global demand for certain key products helped the segment to table outstanding results, with revenues and profits reaching record highs in the year under review. With the trading operation coming under pressure due to the low availability of raw material in Sri Lanka, the main strategic thrust for the year was to expand the multi-origin trading model. In the fresh coconut export business, the focus shifted towards sourcing from India and for DC from Indonesia. Given the success of the initial effort, steps were taken to further refine the modalities of both these operations in order to set up purpose-built operating models that would generate sustainable returns in the long term. Meanwhile the export of fresh fruits and vegetable, the product portfolio was rationalized to focus only on a few high-demand products that have long been the key revenue drivers. The strategy was mainly aimed at streamlining the business model to ensure steady export volumes are maintained throughout the year. The strategy for the Organic dried fruits business was centred on driving volumes through targeted market development activities to tap into niche markets in Europe and USA. To complement the effort, the product portfolio was re-branded and re-launched under the “Tropikal” label, with a fresh new look to appeal to a broader target audience in the global B2B market. Meanwhile focusing on supply chain security, a series of efforts were initiated to promote greater supplier integration particularly among the Banana supplier base. Institutions were also pursued with the aim of exploring new farming techniques that would assist these farmers to continue to scale up operations despite weather-related challenges. The most notable development for the year however was the completion of the construction work on the dedicated Coconut Water processing plant in Seeduwa that began in the previous year. Following its completion in August 2017 a number of test shipments were dispatched, while work began to secure the necessary food safety accreditations for the new facility, among them the ISO 22000, FSSC 22000 and BRC Global Standard. In a notable achievement, the facility was awarded AA accreditation under the UK-based BRC certification, widely regarded as the gold standard for food safety. In the trading segment the export of fresh coconut from Sri Lanka remains uncertain under the current ban imposed by the government. However, the forecast for the DC trading operation remains optimistic, particularly given the encouraging signs seen towards the end of the current financial year indicating a greater availability of DC in Sri Lanka from about February 2018. 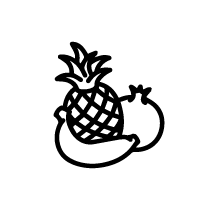 Nonetheless going forward, the prospects of the trading segment would largely depend on the successful management of the multi-origin sourcing model, for both export of fresh coconut and DC exports. The fruit and vegetable (fresh as well as dried) export business is set to grow significantly in the coming years on the back of the growing demand for ever-more natural products. The key to succeeding in this line of business will, therefore, require continuous and ongoing innovation to keep pace with emerging trends along with a strong backward integration to ensure effective management of the supply chain. In the manufacturing segment, the focus would be to leverage on the scale advantage to enhance competitive positioning in order to gain a foothold in the global B2B market for coconut water products. Sri Lanka’s IT industry has been growing steadily over the past two decades driven by increasing support by the government to position the country as a regional IT hub. IT industry today is a dynamic business consisting of a multitude of software and BPO industries as well as facilities that supply hardware for the local market and wider south Asian region. As an implementation partner for leading global software platforms such as Oracle, HighJump and Infor, etc. the Company also undertook turnkey projects for a number of leading corporates in the country. In addition, the Company enhanced services in the areas of ERP, support service, software and app development. 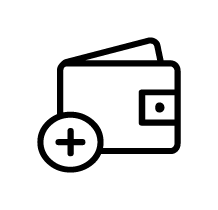 Travel Portal and VISA System officially launched in June 2017 and December 2017, with the completion of multiple phases of development and deployment to integrate complex modules. Moreover, Travel Portal system is a web based platform which covers Travel request management and approval, Travel agent communication, quotation and itinerary uploading facility, other cost management, personal dashboards, travel calendars and notifications. Currently the system is successfully running at EFL. Further system has released to a few large corporate travellers and planning to release to other external customers as well. 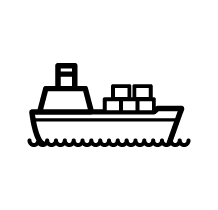 A project to migrate the Cargodrive Legacy system to a new look has been initiated in 2017 and as a result of it, import and export operational modules for both Ocean and Air departments have already been migrated to a new, more enhanced, high performing platform while the other 2 modules (Wharf and Bond) are being migrated and been planned to release by April, 2018. The initial project migration plan has been segregated under 3 different phases and during the 1st two phases, about 75% of the migration plan has been covered. EHL Corporate Management System is an application which is used to automate corporate governance processes from Expolanka Holdings PLC to its subsidiaries across the globe. This system contains total of six key modules and launched BOD & Agreements modules in November 2017. Also we are successfully rolled out the Compliance module to our global subsidiaries within this year. 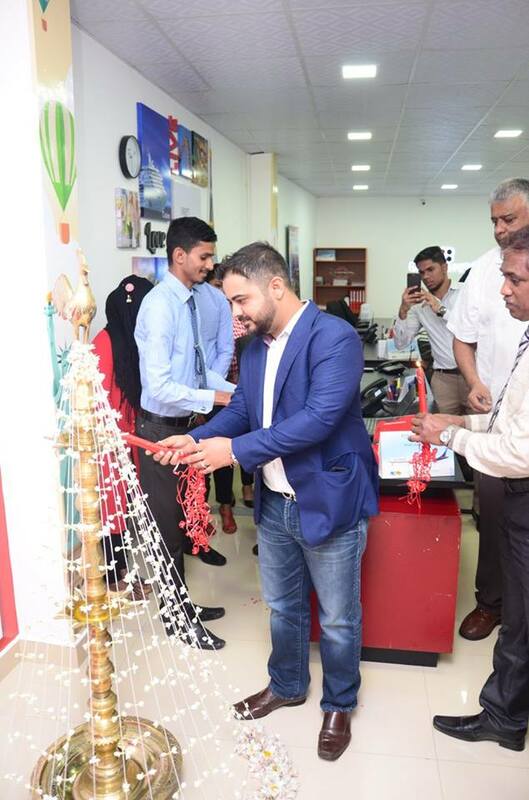 Launch of Outbound Call Center Operations for TVS Lanka (Pvt) Ltd. and Classic Travels (Pvt) Ltd.
During 2016/17 period ITX 360 (Pvt) Ltd has launch the outbound call center operation as the pilot projects team has completed the TVS Lanka (Pvt) Ltd outbound call center operations and Classic Travels call center operations. In terms of TVS Lanka (Pvt) Ltd outbound call center it was agreed to conduct focused Outbound Customer satisfaction surveys over the phone and complete a monthly volume of 3250 surveys, also captured data to be presented as per the expected formats and calls to be executed in Sinhala and Tamil. In regards to Classic Travels call center operations key deliverables are to Setup and provide the office space including the required facilities and utility services, also to provide the necessary technological infrastructure including the Call Center platform and other integrated applications and management of Call Center telephony environment with required Technical Support and Maintenance. Classic call center operation was more customized as it was integrated with the MS dynamics CRM along with the MS Lync platform. These integrations were implemented with considerable effort in R&D and it was successfully delivered. A project to transfer the infrastructure services of Norfolk Foods (Pvt) Ltd to their own domain has been executed and was completed by December, 2017. The project was planned under 3 different service categories as follows. Implementation of a Turnkey IT solution for at KIA Motors (Lanka) Limited, Malabe. KIA Motors Corporation was founded in 1944 and is Korea’s oldest manufacturer of motor vehicles. KIA Motors together with Carplan Limited introduced the KIA brand to Sri Lanka in 1996 providing sales and after sales service related to the brand which continues to this date. The implementation is based on establishing the specific IT infrastructure components to their latest fully fledged logistic Centre located in Malabe. ITX 360 (Pvt) Ltd. was tasked to provide managed IT Helpdesk and Support Services for both departments. The scope of work was to ensure mission critical ICT systems/ applications and services are delivered effectively to UNFAO & UNICEF Sri Lanka and that these are adequately secured, resilient, robust and reliable in line with UNFAO and UNICEF IT standards and procedures. Furthermore, to ensure the accomplishment of the service objectives, UNFAO have renewed the contract with ITX 360 (Pvt) Ltd., for the year 2018 has been awarded to us for the second time.